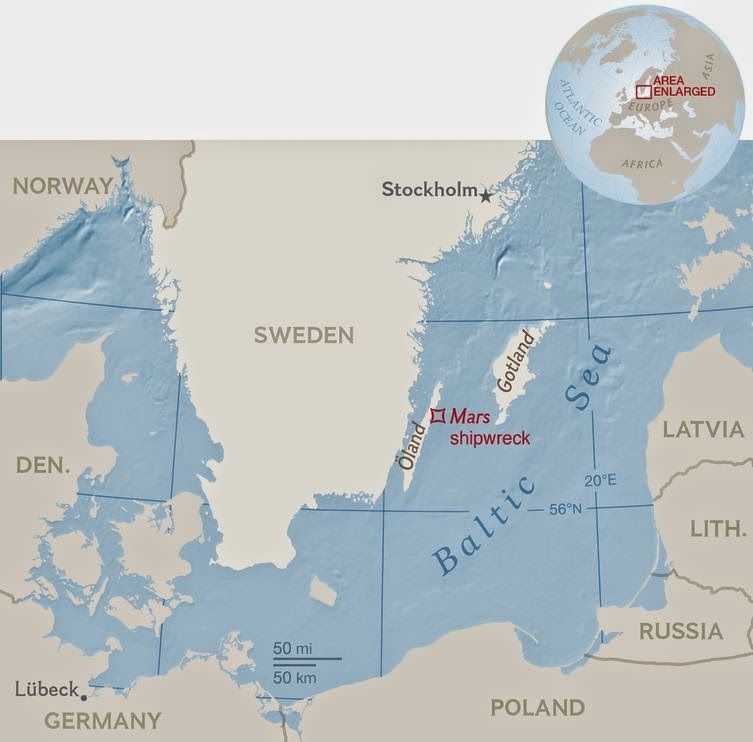 It was the largest and fiercest warship in the world, named the Mars for the Roman god of war, but it went up in a ball of flames in a brutal naval battle in 1564, consigning 800 to 900 Swedish and German sailors and a fortune in gold and silver coins to the bottom of the Baltic Sea (map). Now, a few years after the ship's discovery, researchers have concluded that the one-of-a-kind ship is also the best preserved ship of its kind, representing the first generation of Europe's big, three-masted warships. 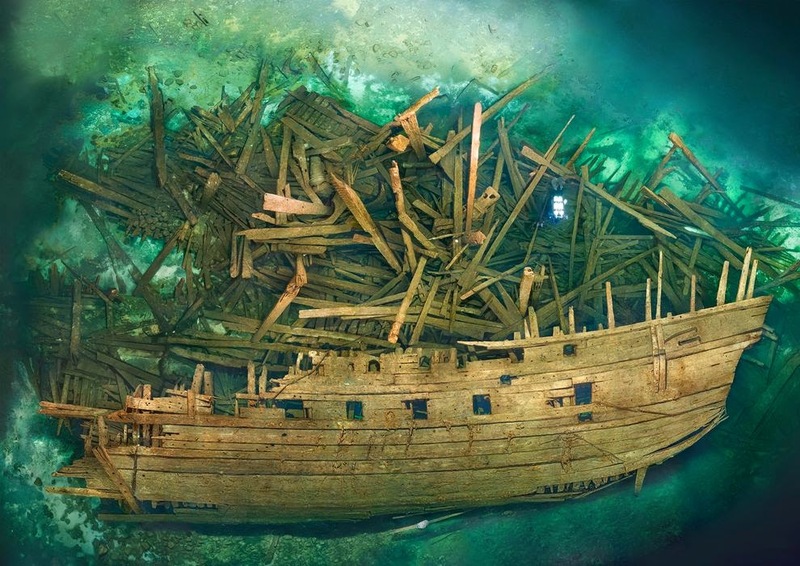 Naval historians know a lot about 17th-century ships, but very little about warships from the 16th century, said Johan Rönnby, a professor of maritime archaeology at Södertörn University in Sweden, who is studying the 197-foot-long (60 meter) wreck. "It's a missing link," said Rönnby, whose work is funded in part by a grant from the National Geographic Society's Global Exploration Fund. 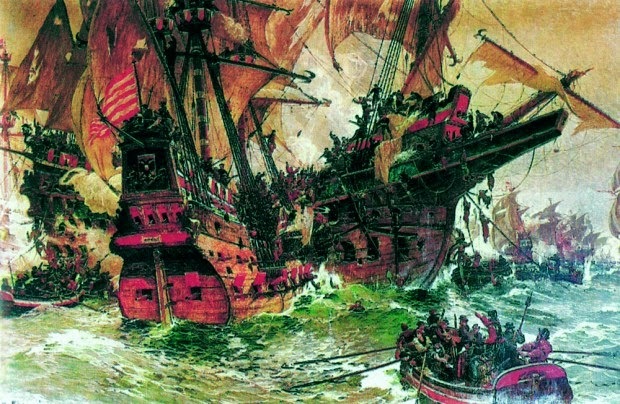 The 1500s is an important period, he said, because it's when big three-masted warships started being built. Researchers have found cargo from early warships called galleons—slightly later iterations of the type of vessel the Mars exemplifies. And they've recovered pieces of actual ships, including the English flagshipMary Rose, which sank during a battle in 1545. But never have they found something as well preserved as the Mars. Rönnby and his team want to leave the Mars on the seafloor and instead use three-dimensional scans and photographs to share the wreck with the world. Rönnby, with help from Richard Lundgren—part owner of Ocean Discovery, a company of professional divers that assists in maritime archaeology work—and others, has been piecing together photomosaics and scanning the wreck to produce 3-D reconstructions. With funding from the National Geographic Society/Waitt Grants Program, they are working this summer to complete their scans of the entire ship. Bringing a ship out of the ocean is expensive, and it can cause significant harm to artifacts. The laser scans Lundgren and colleagues have taken are accurate to within 0.08 inches (2 millimeters)—more than enough to satisfy most researchers. Using some relatively new tools and methods, archeologists now have a chance to reconstruct the last minutes of the ship and the souls onboard, Lundgren said, and gain some insight into how people behaved on a battlefield. Legend has it that a specter rose from the inferno to guard the Mars, the pride of the Swedish navy, against ever being discovered. The discovery was the culmination of a 20-year search by Lundgren, along with his brother Ingemar and their colleague Fredrik Skogh. The men had dreamed of finding the mighty Mars since making a childhood visit to a Stockholm museum housing another iconic Swedish warship, named the Vasa. Richard and Ingemar Lundgren became professional divers in part because of that dream. The Mars sank on May 31, 1564, off the coast of a Swedish island calledÖland (map). She came to rest on the seafloor tilted to her starboard, or right, side. Low levels of sediment, slow currents, brackish water, and the absence of a mollusk called a shipworm—responsible for breaking down wooden wrecks in other oceans in as little as five years—combined to keep the warship in remarkable condition. What makes this find even more exciting, said Lundgren, is that the Marsdidn't sink because of a design flaw or poor seamanship. "Mars was a functioning war machine that performed extremely well in battle," he explained. She sank loaded to the gills with cannons—even her crow's nests had guns—sailors, and all the accoutrements needed to run a ship built for war (including eight different kinds of beer). This warship had "totally unheard of firepower" for her time, said Lundgren. And it's those cannons that played a role in her demise. The Mars went down while engaged with a Danish force allied with soldiers from a German city called Lübeck. The Swedes routed the Danes on the first day of battle, said Rönnby. So on the second day, the Germans decided to press their luck. German forces began lobbing fireballs at the Mars and eventually succeeded in pulling alongside the burning ship so soldiers could board her. As gunpowder on the warship fueled the inferno, the heat became so intense that cannons began to explode, said Rönnby. Those explosions eventually sank the warship. Legend, however, tells a slightly different story. The Swedish kings at the time were busy trying to consolidate their position, Rönnby explained. "[But] the Catholic Church was a problem for the new kings because it was so powerful," he said. So in trying to diminish the church's power, monarchs like Erik XIV—who commissioned the Mars—would confiscate church bells, melt them down, and use the metal to make cannons for their new warships. Legend has it that carrying those repurposed church bells doomed theMars to a watery grave. The warship carried either 107 or 173 cannons of many different sizes. "It's not just a ship, it's a battlefield," said Rönnby. Diving on the wreck, "you're very close to this dramatic fire on board, people killing each other, everything was burning and exploding," he said. In fact, when Lundgren and colleagues brought a piece of the ship's hull to the surface, they noticed a charred scent wafting from the burnt wood. "In the end, I think, that's the aim of archaeology—to discuss ourselves and the human aspects of a site," Rönnby said.